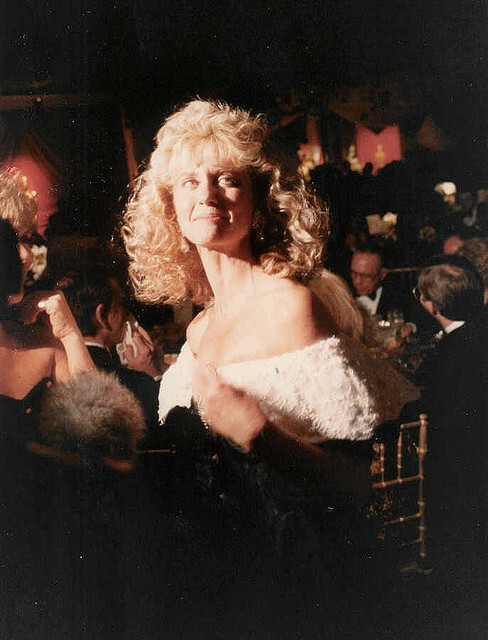 Newton-John at the 61st Academy Awards in 1989. Amazing. - Coming to the Paramount: Olivia Newton-John! November 10, 8 pm. Tickets vary in price from $50 to $75. - Regina Taylor of Crowns stopped by Afternoon Shift yesterday. - First Folio Theatre is doing a staged reading of Shylock and his Daughter by Maurice Schwartz on Thursday, July 26 and Thursday, August 2, 9, and 16, all at 8:15 pm. It&apos;s The Merchant of Venice, but from the perspective of Shylock, as the title would suggest. - And a shameless plug: check out my Hungry Artists series about young Chicagoans try to make it in creative, performance-related fields.